Making the decision to treat hearing loss through the use of hearing aids may seem like a straightforward decision, but there are a lot more benefits to using hearing aids than first meets the eye. Here are some benefits that are universally applicable, which you may not be aware of. Hearing loss can lead to frustration and anxiety when communicating with others, including both loved ones and co-workers. Hearing aids can help overcome these feelings by bettering your relationships at home and in the workplace. A recent study showed that hearing devices improved the quality of life of 83% of Americans surveyed. By taking the decision to treat hearing loss through the use of hearing instruments, people may feel better inclined to maintain or build new professional relationships. At home, frustration is a common side effect of hearing loss, which affects both the person suffering from hearing loss and those trying to communicate with them. Recent findings by Hear the World Foundation concluded that for 73% of survey respondents, their relationships were enriched once they tackled their hearing loss by wearing hearing devices. Studies have shown that social isolation and feelings of exclusion are linked with untreated hearing loss. Hearing aids can assist children too, as many young people with hearing loss also suffer from social isolation. This is likely linked with communication issues. Where people find it difficult to communicate, it can feel easier to retreat rather than engage, and to avoid those feelings of frustration and, sometimes, embarrassment. It doesn’t have to be that way. Hearing aids can increase confidence and support social inclusion. In this international study 8 of 10 people around the world reported that wearing hearing devices had a positive impact on their quality of life. Another (often overlooked) way that hearing loss affects people is due to the links between untreated hearing loss and cognitive decline. Where individuals with untreated hearing impairments suffer from loss of cognitive functions, researchers have concluded that the correlation between the two is a ‘clear indication for early hearing aid fitting for those who need it’ (see the abstract here). This is because wearing hearing instruments is likely the cause for recorded increases in cognitive functions after use. Even though using hearing aids can improve cognitive functions, people wait on average 10 years before being fit with their first set of hearing aids – and that’s just people who are diagnosed. Only 20% of people in the U.S. who would benefit from hearing devices contact a professional to seek treatment (asha.org). Older people with hearing loss are 2.5 times more likely to develop depression than those who do not have a hearing impairment (actionhearingloss.org). Considering depression affects more than 15 million adults in the U.S. (adaa.org), the fact that several studies have linked untreated hearing loss to depression should not be disregarded. Interestingly, these latter findings indicated that the links between hearing loss and depression were more likely to affect women and people under 70 years of age. On the other hand, the use of hearing aids has been shown to result in a decrease in depressive signs. People who are affected by hearing loss often also complain of tinnitus. Tinnitus describes a ringing, buzzing or humming in the ears. It can be caused by a range of issues, including exposure to a loud noise, such as a loud concert, or an injury to the head, but it is most often associated with hearing loss itself. By refining the reception and perception of external noise, hearing devices can often provide relief from tinnitus. Approximately 10 to 15% of the US population deal with chronic or persistent tinnitus, but a survey of hearing care professionals indicated that 6 of 10 patients experience relief from tinnitus when using hearing instruments. You too can improve your quality of life and your relationships – get started with a simple phone call to our audiologists at HeaRite. At HeaRite, NJ-licenced audiologist and hearing aid dispenser Mindy Neustadt, M.S., F-AAA can help you realize an enriched quality of life through the use of hearing aids. Our patient focus is second-to-none, and with so many benefits to wearing hearing devices – why wait? Contact us at HeaRite in Lakewood, NJ for your free hearing screening and risk free trial today. 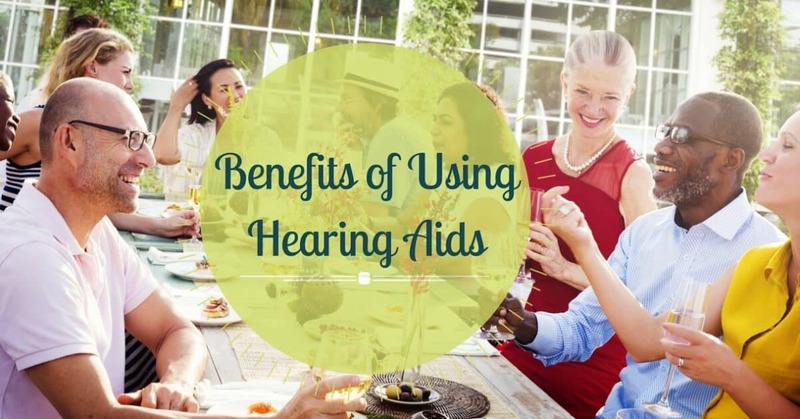 How could hearing aids benefit your life? Call HeaRite Audiological Care at (732) 737-9555 or click below. We have locations in Lakewood, NJ and Brooklyn NY.